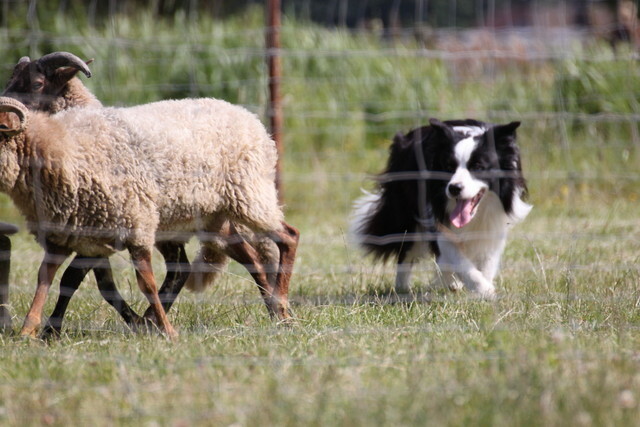 Cujo has passed the aptitude test (herding) and has had a very good from the exterior testing. You know it’s in there, but to get that confirmed on paper, of course, is much nicer. 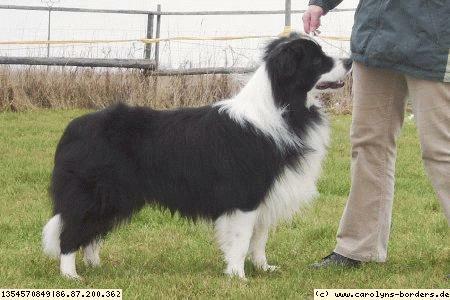 Cujo is a descendant of our Gift (Gift Sterling) and Dylan (Clan-Abby Nz Carolyn’s Dylan) by Carolyn Brack. Below is a picture of Cujo at work.